Using the always-great Gridiron Uniform Database as a reference point, there really weren't any uniform stories last week. The Patriots wore their throwbacks against the Jets, and as much as I complain about modern-for-the-sake-of-modern uniforms like those of the Cardinals and the Vikings (who played last week in a sartorial disaster area), the Patriots throwbacks are kind of ugly. The "Pat Patriot" on the helmet is kitschy without being endearing, and it just out-of-date, not classic. Graphics have a place on helmets, illustrations do not. Somehow, the Buccaneers' throwbacks, which commit many of the same sins as the Patriots', work, maybe because they're so ugly. Maybe I just like my pants striping to be adjacent instead of interrupted, or maybe I really like creamsicles, maybe I have a soft spot because the current Buccaneers uniforms are among the best "modern" design…I don't know. Jumping back to the Patriots/Jets, for those who get something out of uniform trivia (and if you're this far into this paragraph, I have a feeling you are), the Jets wore White over Green, which is quite a rare combo; for example, last season, it only showed up in the playoffs. On to this week's game. The Eagles are in Washington, and since last season, the Redskins are no longer a "White at Home" team. This season, they've exclusively paired their Maroon jerseys with their Yellow pants. The bad news for the Eagles is that this may be the best uniform combination in the entire NFL. There's an (unlikely) chance the Redskins could choose their White pants, but even that is a unique, respectable look. Similarly, the Eagles could choose to wear White pants to go White over White, but the Eagles are in the midst of their most conservative uniform season in recent memory (if only because an Alternate won't be seen), so don't expect their "pre-season" White/White combo. NOTE TO REDSKINS FANS: I refuse to call Yellow "Gold" or Maroon "Burgundy." Sorry. Your UniDiction is after the jump. Eagles: 7 — Definitely one of the best helmet designs in the league. I'm a sucker for "functional" helmet designs. There's always an under-current of fans looking to go back to the Kelly green, but of any component of the current uniform set, the helmet with the rich metallic "Midnight" green would be the biggest loss if that change ever happens. Redskins: 3 — It's a nice color combination (maroon, brown, yellow, black), but regardless of the political correctness of the logo, it's sloppy that the man pictured is wearing feathers, and the logo itself is "wearing" feathers. It's like snacks on snacks, not wholly unnecessary, but overkill. This helmet seen with throwbacks every now and then is much better, combining symbols with neither redundancy nor caricature. And for retro for the sake of retro, these throwbacks use this rather ugly design which also ends up looking "cleaner" than the official helmet. 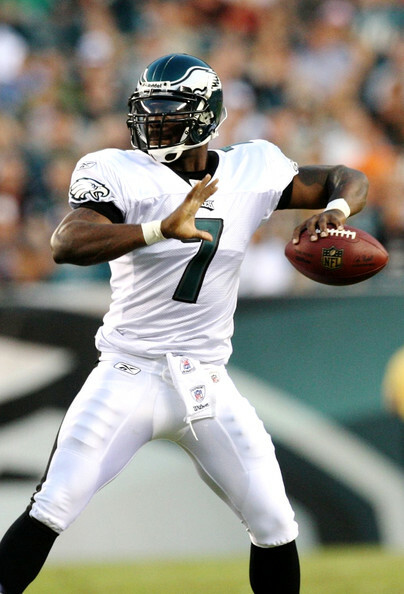 Eagles: 2 — The White jerseys are unfortunately nondescript compared to the Midnight Green. I've said it before, so I'll say it again, the White jersey just doesn't say "Eagles" the way that the Green one does. Last year, the White jersey grew on me during the season, this year, I'm having the opposite feeling. 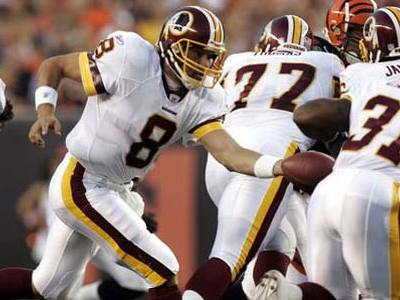 Redskins: 7 — Now then, speaking of jerseys that are intertwined with the team's identity. They have a unique color scheme within the NFL, the colors complement each other, and while they lack a graphic to add some flavor to the design (like the Eagles heads on the shoulders of the all of the Eagles jerseys), they still look like a complete NFL jersey because of stripes here and there and the nice detail of a Yellow stroke around the White numbers to ease the transition from Maroon to White. Eagles: 1 — These pants and socks need to go. The Midnight Green just looks "dark" unless they're playing a 1:00 game in bright sunlight, the Grey and Black stripes aren't distinguishable from distance, and the Black over White socks don't do anything to clear up the "generically dark" look of the lower-half of the uniform. If they come out in White over White, let's talk and I'll give some more points here, but while most readers are sick of Andy Reid, I'm sick of these damn Green pants. 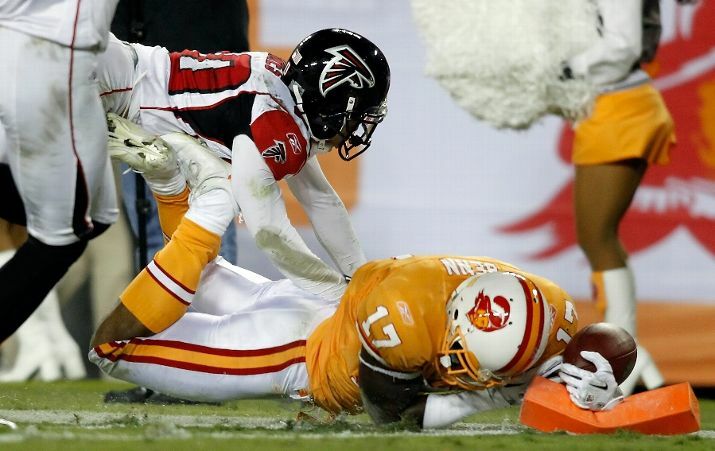 Redskins: 7 — It takes real (foot)balls to get away with wearing mustard Yellow pants Luckily the Maroon matches. The picky out there (me, included) will notice that the striping pattern on the Yellow pants does not match the striping pattern on the White and Maroon pants. White and Maroon get simple double-stripes of the non-pant color from the 3 color options, but the Yellow pants get a Maroon-White-Maroon sandwich stripe. Speaking of stripe inconsistency, the Maroon socks worn with the Yellow pants include stripes; the Maroon socks worn with both the White and Maroon pants do not include any stripes. But, inconsistency with the rest of their uniform sets aside, they look darn good. Eagles: (-1) — White over Green is not a good look. 2 points. (At least they're not the Cardinals.) If they show up in White over White, Consider this a 7 for thinking outside the box. Pink towels draped over dark Green pants? No thank you. Minus 3. 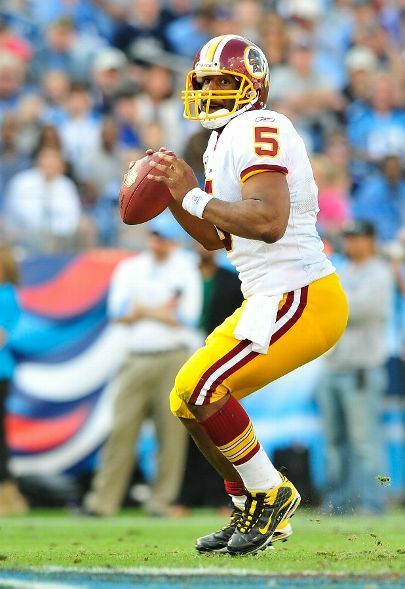 Redskins: 6 — I meant what I said earlier; this is the best uniform combo in the NFL. Sure, Pink doesn't go with any of the colors (minus 1), but I'm willing to selectively ignore it. 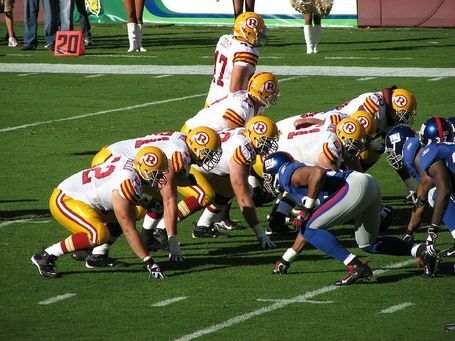 The Redskins have a bunch of uniform combos (Maroon/Yellow, White/Yellow, White/Maroon, Maroon/White, White/White, Maroon/Maroon); here is my public gallery of their various combos. I'll include a disclaimer that some of these combos haven't been seen since 2009 (White/White and Maroon/Maroon, I'm looking at you.) 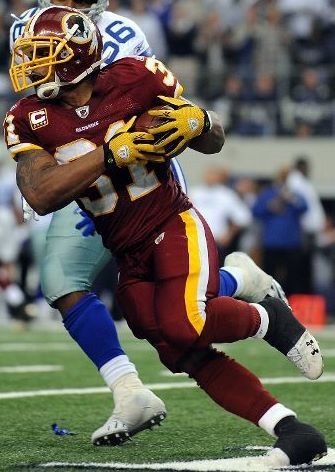 Check out the Redskins break-down at the Gridiron Uniform Database.